Combining a super-comfortable anatomical fit with a warm and durable merino-blend fabric, our Snowboard+ Medium Over the Calf socks are fully cushioned and designed for all-day performance on the mountain. 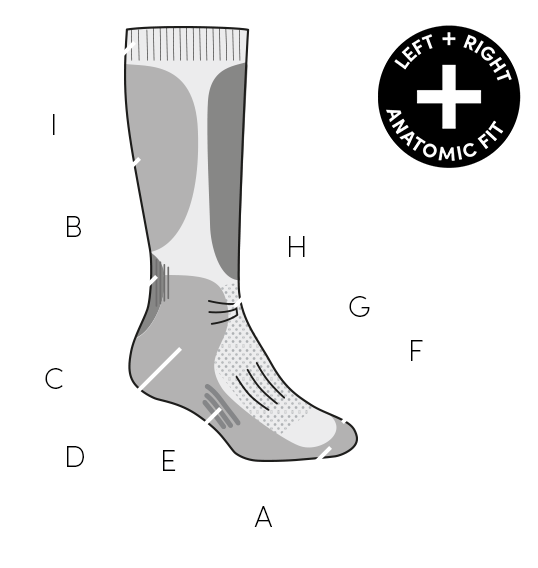 Our Snowboard+ sock construction features support zones in the ankle and over the Achilles and instep to keep the sock in place, sculpted cushioning to maximize fit and comfort, and a breathable forefoot zone for improved ventilation. The seamless toe closure reduces bulk and helps prevent blisters when hiking the ridge or shredding the backcountry.